In 1924 Millard Townsend, of Ray City, GA was a freshman at Mercer University in Macon, GA.
Millard Carnege Townsend of Ray City, GA, 1925 Caldron, Mercer University Annual. 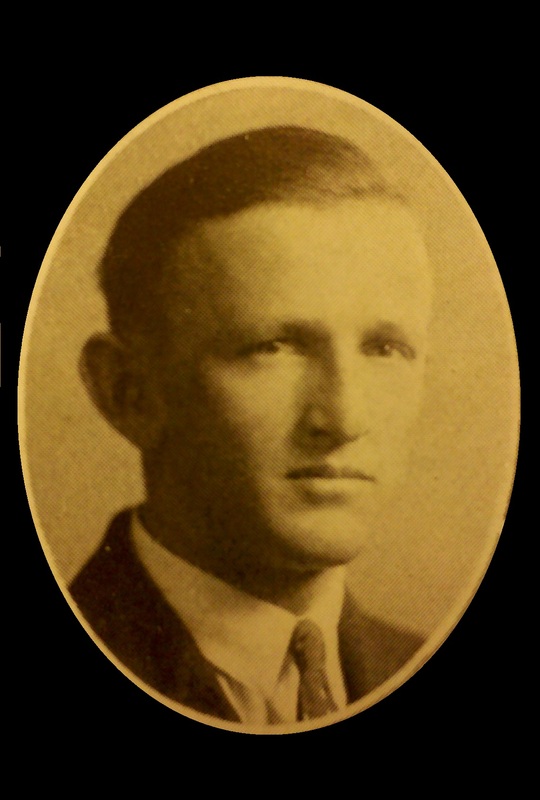 Millard Carnege Townsend, subject of previous post (Millard C. Townsend and the Mercer Debate Team), was born in Florida on July 6, 1902, and moved with his family from Lafayette county, Florida to Ray City some time before 1920. His parents were Margaret Elizabeth Buchanan and Daniel Wiley Townsend. His father owned a farm on one of the settlement roads at Ray City. 1920 Census enumeration of Millard Townsend and family in the 1144th Georgia Militia District, near Ray City, GA.
As a student at Mercer, Millard C. Townsend was engaged in many extra curricular activities. He was a member of the school band, leader of a literary society, speaker on debate teams, and an assistant editor for the school paper. 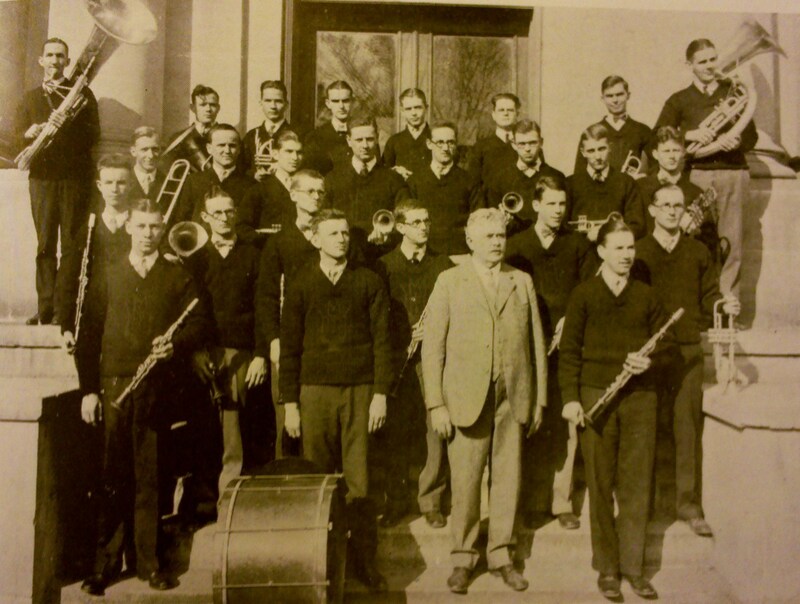 THE 1925 MERCER UNIVERSITY BAND: Kyle T. Alfriend, President; E.C. Middlebrooks, Secretary; Members, J. Noble Arnold, J. H. Anderson, Aubrey Abbott, Kyle T. Alfriend, J. W. Avery, J. Logan Bloodworth, Lawson F. Bell, Dan C. Benton, J. T. Cook, Walton W. Cook, J. P. Chapman, C. B. Fulghum, J. H. Fulghum, Roy Harrison, S. B. King, George Kent, R. T. Lee, E. C. Middlebrooks, O. H. Middlebrooks, W. P. Martin, J. H. Murray, J. T. Minor, William Mitchell, M. C. Townsend, Bruce P. Powers, Lamar R. Portain, Maynard Smith, J. E. Suires, Jack Taylor, L. H. Young, J. M. Hardy, Oliver Benson, C.C. Thomas, H. Williams, Mac Davis. 1924 clipping from the Mercer Cluster. Debate Council plans strenuous forensic season. Plans are already underway for the inter-collegiate debates at Mercer during the coming year. The members of the Council have been selected and preparations are being laid for the most strenuous year of debating through which Mercer has ever gone. Dr. Rufus C. Harris, of the law school, is chairman for the coming season. Other members of the committee are, Dr. A. P. Montague, Dr. Percy Scott Flippen, Prof. Joseph Robinson and Prof. W. T. Smalley. In addition to these members from the faculty, the presidents of the Ciceronian and Phi Delta Societies will be active members of the Council. During the past four years Mercer has participated in eighteen inter-collegiate debates, winning twelve of this number. Teams were met last season from the following colleges; Richmond University, of Richmond, Va.; Georgia Tech, University of Alabama, William-Jewel College of Missouri, and Wake Forest College. The above contests were won with the exception of the Wake Forest affair. This year’s program will call for Mercer’s meeting some of the foremost colleges in the forensic arena including some intersectional debates if plans that are now in their infancy materialize. Subjects for the tryouts for positions on the teams will be announced sometime during the fall term and the applicants will be permitted to display their skill before the Christmas holidays. Only four men who were on debating teams last year are back or are eligible. These are Eugene Cook, Herbert Bradshaw, Joe McClain and M. C. Townsend. Millard C. Townsend of Ray City, Ga., has been chosen to serve as president of the Ciceronian society for the first term of the next school year. This honor was well placed, Mr. Townsend having defended this society several times in debates and oratorical contests. Other officers elected were: vice-president, T. Harris Tyson of Tennille, Ga.; secretary, Fred Forrester, of Head River, Ga.; chaplain, George Jester, of Camp Hill, Ala.; critic, Courtland Gilbert, of Brunswick, Ga.; reporter, Julian J. Upshaw, of Douglasville, Ga.; and janitor, G. L. Griner, of Camilla, Ga. Speakers and officer for the annual society day program, which will be held next winter, were elected as follows; debaters, M. C. Townsend and Frank Twitty, with C. A. Martin and C. E. Langston as alternates; orators, Herbert Bradshaw and T. Harris Tyson; presiding officer, C. A. Martin, and chief marshall, H. S. Sauls. On next Tuesday evening, May 26, the Society will hold its annual oratorical contest. Millard C. Townsend, of Ray City, was awarded the medal from the Ciceronian debating society oratical contest which was held on Tuesday evening. His subject was Victory of Sword or Cross. 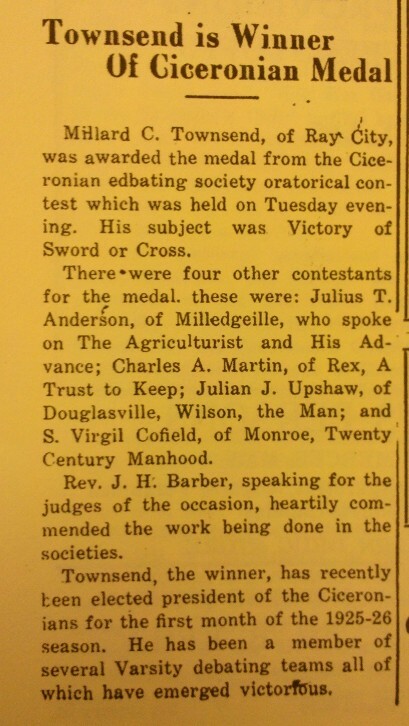 There were four other contestants for the medal, these were: Julius T. Anderson, of Milledgeville, who spoke on The Agriculturalist and His Advance; Charles A. Martin, of Rex, A Trust to Keep; Julian J. Upshaw, of Douglasville, Wilson, the Man; and S. Virgil Cofield, of Monroe, Twenty Century Manhood. Rev. J. H. Barber, speaking for the judges of the occasion, heartily commended the work being don in the societies. Townsend, the winner, has recently been elected president of the Ciceronians for the first month of the 1925-26 season. He has been a member of several Varsity debating teams all of which have emerged victorious. 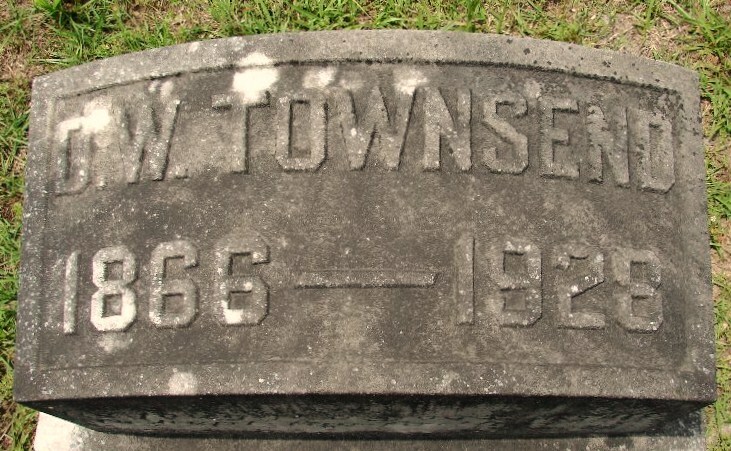 Millard C. Townsend was born in Florida on July 6, 1902, the son of Margaret Elizabeth Buchanan and Daniel Wiley Townsend. His father was a Florida farmer. Millard Carnege Townsend moved with his family from Lafayette county, Florida to Ray City some time before 1920. His father owned a farm on one of the settlement roads at Ray City. 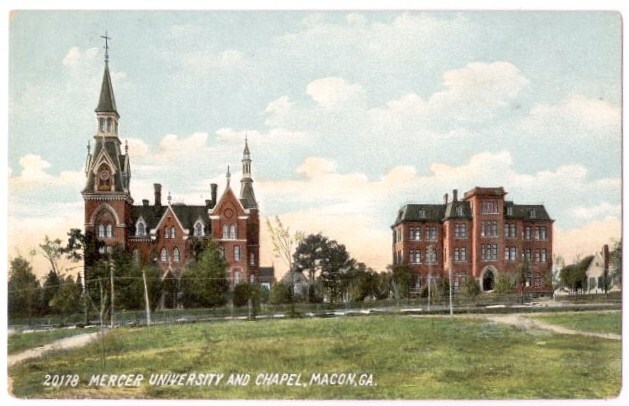 At about age 23, Millard C. Townsend was studying at Mercer University in Macon. His success there on the debate team was noted in the Atlanta newspaper. Macon, Ga., April 30 – Mercer university debaters won the last intercollegiate debate of the present season by defeating a team from Wake Forest college in the Mercer chapel here tonight. Millard C. Townsend, Ray City, and Roy Hale, Locust Grove, were the Mercer representatives taking the negative side of the question, “Resolved, that the operation of United States coal mines should be regulated by federal commission.” The judges handed down a two-to-one decision in favor of the Mercer debaters. A.S. Gillespie and C.R. Tew were the debaters from Wake Forest. Millard’s father died in 1928 in Ray City, GA. After college, Millard moved to Roanoke City Virginia, where he boarded with the family of Charles A. Ball. He took a job as a teacher at the Roanoke National Business College. Milliard Townsend remained in Roanoke, Va and died there in July, 1984.